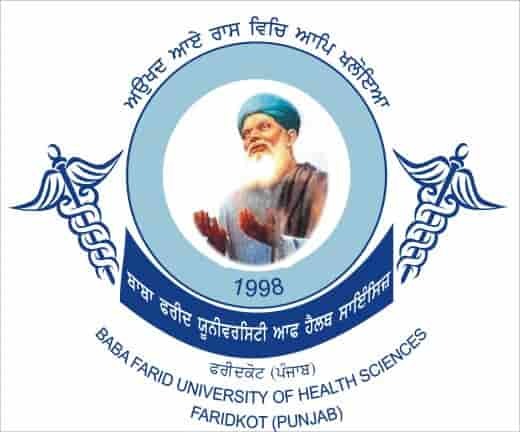 BFUHS Result 2019 www.bfuhs.ac.in Results 2019 Baba Farid University of Health Sciences. BFUHS will release various UG and PG degree courses exam results. UG Results such as B.Sc(Post Basic), MBBS, BDS, B.Sc. (Nursing), B.Sc. Dialysis Techniques, BPT, B. Pharmacy along with Rechecking Result. Whereas, PG Results includes MD/MS, DM/M.Ch, MSc (Nursing), MPT, MDS, MLT along with PG Rechecking Result. The results published on net are for immediate information to the examinees. These cannot be treated as a final result. Original detail mark sheets have been issued by the University separately. The result of each candidate is notified as shown in the column of RESULT. Marks have been shown in case of Pass candidates. ‘R‘ means to reappear in the subject(s), RL(Award) means result late due to non receipt of Awards. RL(Thesis) means result late due to non-receipt of thesis acceptance report. After the results published by the Baba Farid University of Health Sciences (BFUHS), candidates may check the following steps to access the results. Second, in the main menu click on Results”. Third, click on your degree and semester exam result name. Finally, a PDF will open now check your Roll number and results status.